The Lower Queen Anne/Uptown neighborhood in Seattle, WA didn't have a great year -losing a book store, record shop, video rental spot, and movie theater. Queen Anne residents were forced to leave the cozy confides of the best neighborhood in the city (sorry cap hill) to find any sort of engaging evening entertainment. But SIFF has come to our rescue! 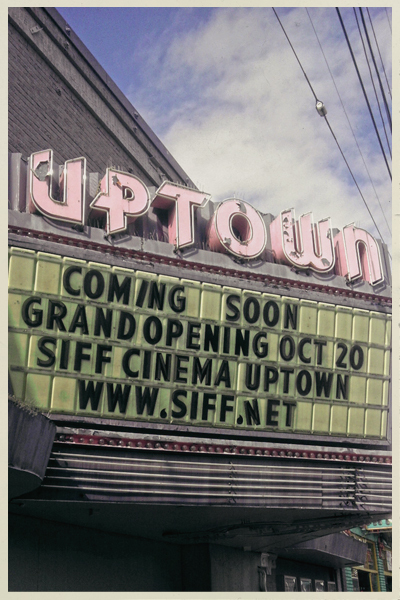 Uptown Theater, located on Queen Anne Avenue, will be reopening under the new ownership of the Seattle International Film Festival (www.siff.net), promising us many evenings filled with amazing local, national, and international independent films. Be sure to catch the FYM Seattle crew at opening weekend (in conjunction with Seattle City Arts Fest) singing along to Prince's Purple Rain on Friday, October 21st (show starts at 9:30). Can't get down with the man in velvet? 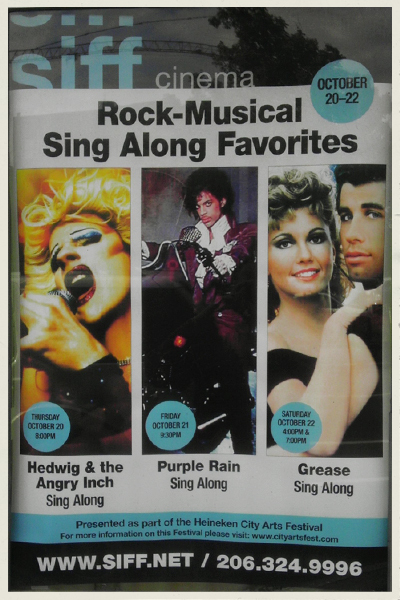 Then check out the other two opening weekend sing-along shows with Hedwig and the Angry Inch giving the inaugural performance on Thursday, and Grease finishing things up on Saturday. It will be a celebration -sure to have something to make anyone want to get up and exercise those vocal chords! 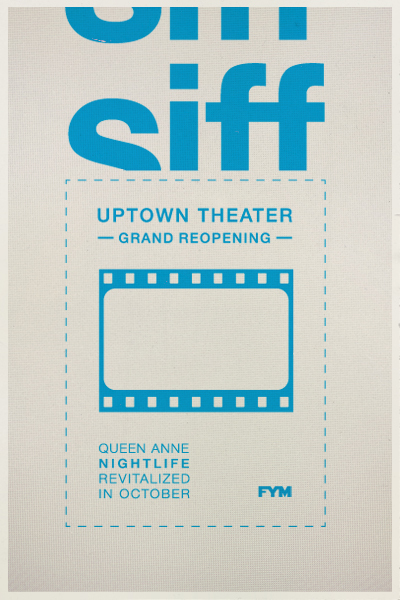 We look forward to seeing what else the new SIFF theater has to offer in the coming months. Thanks for bringing some much needed new life back to our Lower Queen Anne neighborhood!